What are the expected short-term effects of the U.S. lifting its arms embargo on Vietnam? Nearly 20 years ago, we normalized relations with the United States and in 2013 we set up a comprehensive partnership with the United States. So the relation[ship] is normal and the ban on the lethal weapons to Vietnam is abnormal. So we lift the ban, meaning that the relation is normal, even though we have normalized the relation[ship] 20 years ago. 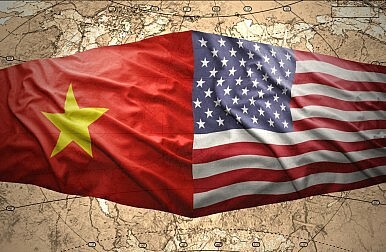 Minh is heading to Washington D.C. in early October for discussions with U.S. Secretary of State John Kerry while U.S. Defense Secretary Chuck Hagel is scheduled for a trip to Vietnam later this year. Minh’s remarks came less than 24 hours after a Reuters exclusive report cited comments by senior U.S. officials suggesting that the embargo would be on the agenda during Minh’s visit to the United States. According to that report, the Lockheed P-3 Orion surveillance aircraft may be one of the first items on Vietnam’s wish-list. The P-3 would be a major capability boost for the Vietnamese navy as it seeks to increase its maritime patrol and reconnaissance capabilities. The P-3 is also adept in anti-surface ship and anti-submarine warfare. The P-3 has an estimated unit cost of $36 million. Within the United States, there is broad support in both the executive and the legislative for bringing the U.S. and Vietnam closer amid increasing Chinese assertiveness in the South China Sea. Lifting the embargo represents one of the surest ways for the United States to reap important diplomatic dividends from Vietnam in the region as it seeks to bolster its pivot to Asia. One other such critical area for increasing cooperation is Vietnam’s potential accession to the Trans-Pacific Partnership, which remains a work-in-progress. When asked if the lifting of the U.S. lethal arms embargo would upset China, Minh seemed at ease, remarking, “If we do not buy weapons from the United States, we still buy [weapons] from other countries. So, why should China be bothered by that?” At no point did he deny Vietnam’s ongoing multi-billion dollar military modernization effort, which is aimed primarily at countering Chinese advances in the South China Sea. Earlier this year, in May, China placed an oil rig in waters claimed by Vietnam as part of its exclusive economic zone under the United Nations Convention on the Law of the Sea (UNCLOS). That incident exposed the growing differences between Vietnam and China, two countries that once enjoyed close relations owing to inter-communist party solidarity (indeed, following the oil rig incident, Vietnam’s defense minister described it as a petty disagreement between “brothers”). For Vietnam, while the United States can be an appealing partner for defense procurement, there are other compelling partners, including Russia and India. During a visit to Hanoi earlier in September, Indian President Pranab Mukherjee signed a memorandum of understanding that included the extension of a $100 million credit line to facilitate Vietnamese defense procurement. More critically, Vietnam sourced six improved Kilo-class submarines from Russia to add to its fleet of Soviet-era naval hardware. Vietnam is also interested in purchasing the jointly developed Russo-Indian BrahMos supersonic cruise missile in a deal that is likely only awaiting a nod of approval from Moscow. Additionally, earlier this year, Japan indicated its eagerness to expand defense cooperation with Vietnam. While cooperation between these two countries is still growing, it could easily lead to Vietnam sourcing Japanese defense equipment amid the latter relaxing its ban on weapons exports. To echo Deputy Prime Minister Minh’s remarks in New York last week, Vietnam indeed has other partners to source its defense hardware. With the exception of Japan, the United States remains considerably better positioned to actually help Vietnam, which relies primarily on Soviet-era equipment, modernize its military. Critically, Minh clarified that his comments on the embargo and on Vietnam-U.S. relations should be taken at face value and do not indicate a burgeoning alliance of any sort. To this end, Minh reiterated Vietnam’s “three nos” defense policy: say no to military alliances, say no to foreign bases on Vietnamese soil, and say no to relying on any external country for assistance in combat. Nothing in Minh’s remarks indicated that Vietnam’s military modernization program or desire to see the U.S. arms embargo lifted would lead to it fundamentally altering the underlying principles that guide its foreign policy. Despite its “three nos” policy, should the embargo be lifted, Vietnam will come closer to aligning itself with a concert of Asia-Pacific democracies including the United States, India and Japan that remain concerned about Chinese irredentism and assertiveness in the South China Sea. Nevertheless, it seems Hanoi remains adamant about maintaining its strategic autonomy — it just wants to do so with the most modern configuration of military hardware it can afford. If and when the U.S. decides to lift the arms embargo, the consequences will likely not be far-reaching in the region. It will usher a new era of deeper bilateral relations between Washington and an old foe, but will not critically alter the maritime security dilemma or balance of power that are shaping current security dynamics in the South China Sea. Hanoi won’t immediately be emboldened vis-a-vis Beijing, nor will it change its behavior to suit U.S. expectations (on human rights, for example). For the United States, boosting Vietnam’s ability to patrol and monitor its own waters will help maintain the regional status quo in line with the objectives of its pivot to Asia. The U.S. decision to lift the embargo on lethal arms sales to Vietnam is likely impending and first and foremost speaks to a growing confluence of interests between the two countries. Deputy Prime Minister Minh’s emphasis on normalization was thus well-placed — there’s only so far the U.S. and Vietnam can go with the arms embargo still in place.